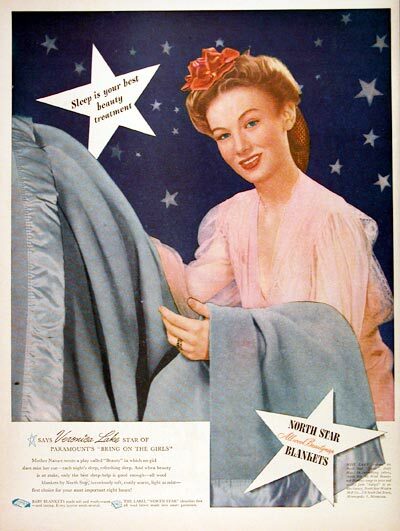 1944 North Star Blankets original vintage advertisement. With endorsement by Paramount Picture's star Veronica Lake. Sleep is your best beauty treatment.